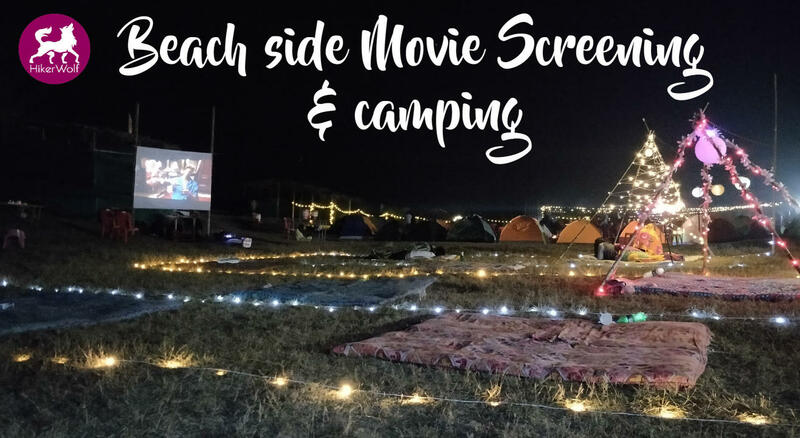 screening by the beach, under twinkling stars. Hiker is the explorer within you. The part of you which wants to reach out for more! Wolf is that side of you which yearns for a sense of belonging, the side which wants to bring people together and be there like Family!! HikerWolf gives you a sense of belonging and guides you through exploring the world through a different lens. With each event, our family grows and the bond becomes stronger with every passing day!! We make sure that every minute you spend with us is so energized and power packed that it keeps you buzzing for days! Every step develops a backstory! Every face you see is that of a friend-to-be!! Every photograph is a flashback of a movie like experiences! With HikerWolf, there are no Goodbyes. It’s always, See You Again Soon. So, See You Soon! There’s so much room in our family! You are welcome to be a HikerWolf. 07:00 pm: It’s time to move and groove to the beats of DJ.